The RU.KA.MA. 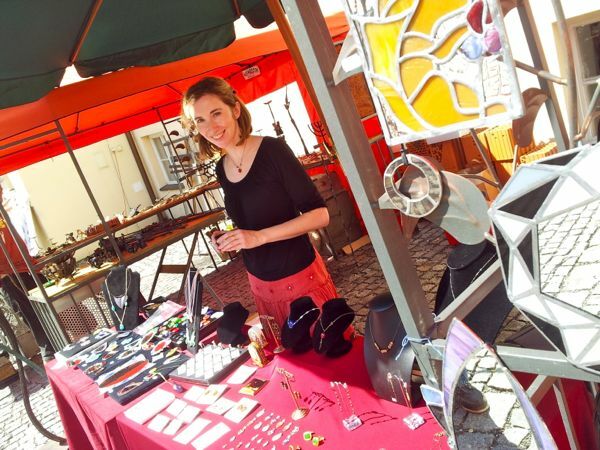 Art & Craft market is the brainchild of two French expats living in Prague: stained glass artist Fred Schendel and jewelry designer Marion Lieutet. Fred and Marion first began organizing art fairs in Prague last year (under the name “Bienvenue”) with a several goals in mind. They wanted to shed light on the talent of local Czech designers, and at the same time bring together artists from different countries. They also wanted to create community events that would bring life to a neighborhood. RU.KA.MA. 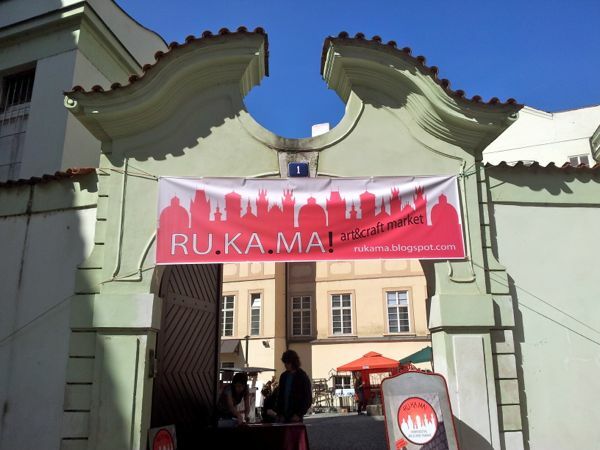 draws its name from the Czech word rukama, or “made by hand.” The market took place all day on Saturday, May 26th in the courtyard of the Jan Deyl Conservatory, a music school for visually-impaired students, in the quaint Malá Strana district of Prague. About 20 artists from around Europe displayed their work. Local businesses also partnered with the market so that anyone who bought an entrance ticket to the event could enjoy discounts at nearby restaurants. The market was a fun community event that brought together locals, expats, and tourists–three groups that often don’t interact on a regular basis. Adults and kids alike took in live entertainment and hands-on workshops with artists, and (in true Prague fashion), dogs frolicked in canine heaven. It was a lively, sunny spring day. 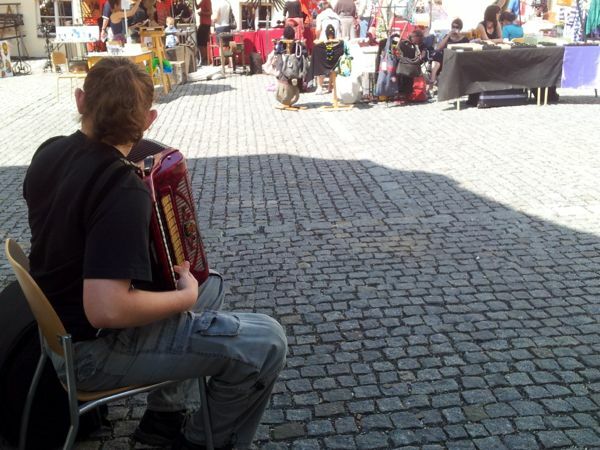 Musicians from the Jan Deyl Conservatory (like this accordianist) performed throughout the day. A traveling circus group also stopped by to entertain the market-goers. The artists of RU.KA.MA. displayed all sorts of crafts, from sculpture to origami. The diversity of the art at the market was impressive. Marion Lieutet (France) presented her line of art nouveau-inspired jewelry, Seraphine Bijoux. 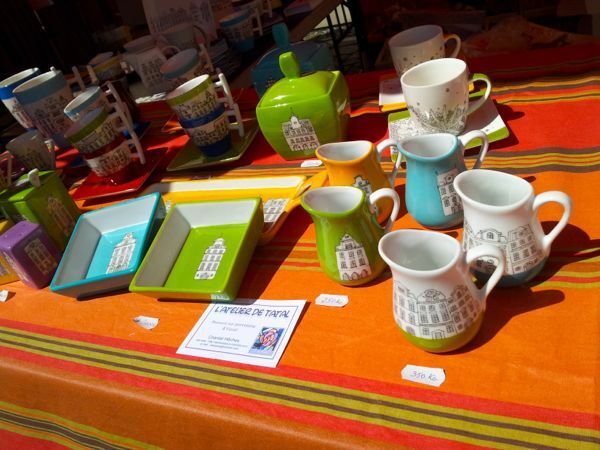 There were also lovely ceramics with images of Prague architecture, from L’Atelier de Tatal (France). 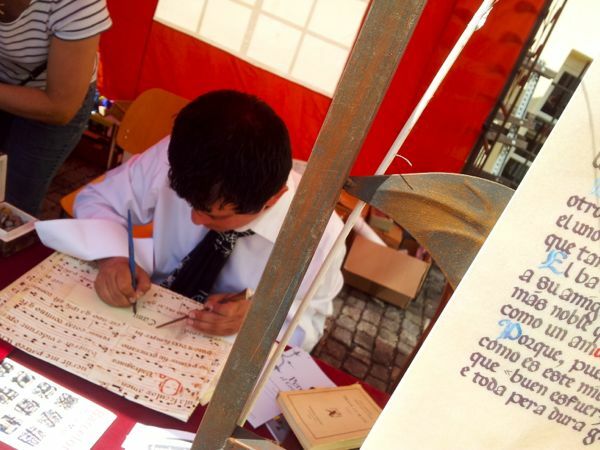 Diego Noguera (Spain) demonstrated the art of medieval calligraphy. 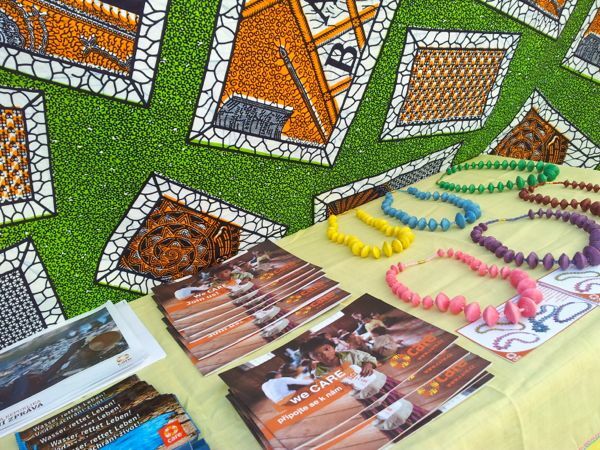 The Czech office of the international humanitarian organization CARE sold necklaces that were handmade by women in Africa. 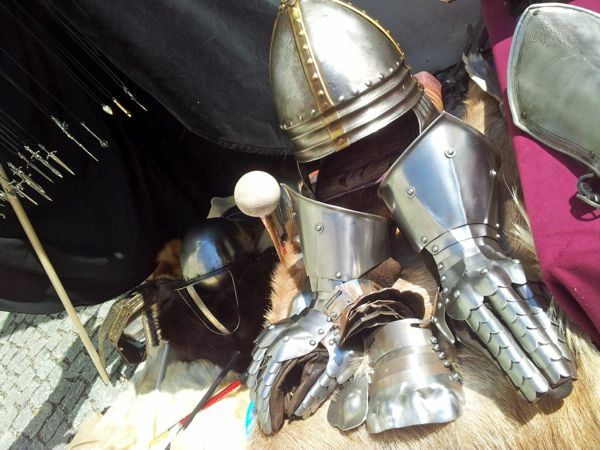 Metalsmith Petr Theimer (Czech Republic) showed off real suits of armor. 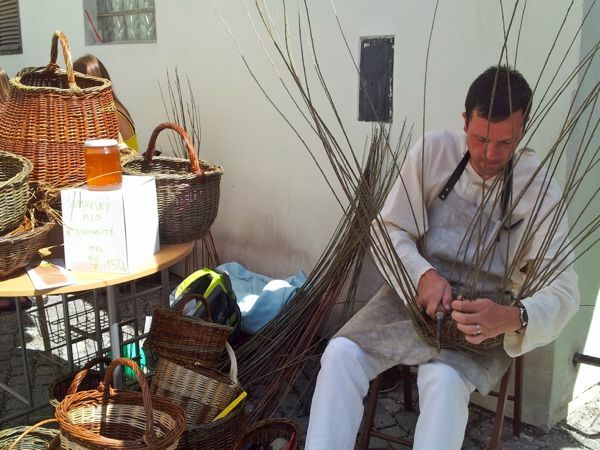 Jerome Pierron (France) sold handmade baskets and led demonstrations of traditional basket-weaving techniques. There was also a cart selling fresh Czech pancakes (palačinky) and elderflower lemonade. The next RU.KA.MA. art and craft market will be on Saturday, June 23rd! To find out more about the market, check out the website or Facebook Page. This entry was posted in Do, Prague and tagged art, artisans, camilla, crafts, czech, czech republic, DIY, do, mala strana, prague, rukama. ← Seasonal Eating: Maryland Blue Crabs! I am a natural beauty crafter from Albania. How can I participate to this market? I would like to show my crafts on your events.